This calm I have been given is such a dream --- something I have been visualizing for 15 years. I keep pinching myself.......resisting the urge to "wait for the other shoe to drop", as it has many times in the past. I've experienced my share of "Marah" situations, just like the Israelites did during their wilderness experience. They hadn't had anything to drink in days, and the first trace of water was bitter - undrinkable. They were beside themselves with grumbling, because really ----- why would God put undrinkable water in front of His chosen "dehydrated" people? The testing of their faithfulness had begun - did they forget the Red Sea? In modern times does God create these Marah situations or are some created by man? Failed attempt after failed attempt with ineffective medicine with no other option because of legalities can cause bitterness for those who suffer. Why do children with uncontrolled seizures have to wait for relief? To wearily walk from Marah to Marah? Before the Cobalt, Olivia had a hard time holding her body up - her core was so weak. She has started drinking by herself again - holding her own cup. Have I mentioned how thankful I am? I want to keep sharing our story, to share where it was that we came from. I indulge in this new sweetness as her days continue to get better and better and I forget the bitter. I am so grateful for this incredible plant.....incredible in so many ways, for so many people who have suffered for so long. "Is there anything too hard for Jehovah?" (Gen. 18:14). Here is God's loving challenge to you and to me today. He wants us to think of the deepest, highest, worthiest desire and longing of our hearts, something which perhaps was our desire for ourselves or for someone dear to us, yet which has been so long unfulfilled that we have looked upon it as only a lost desire, that which might have been but now cannot be, and so have given up hope of seeing it fulfilled in this life. That thing, if it is in line with what we know to be His expressed will (as a son to Abraham and Sarah was), God intends to do for us, even if we know that it is of such utter impossibility that we only laugh at the absurdity of any one's supposing it could ever now come to pass. That thing God intends to do for us, if we will let Him. "Is anything too hard for the Lord?" Not when we believe in Him enough to go forward and do His will, and let Him do the impossible for us. Even Abraham and Sarah could have blocked God's plan if they had continued to disbelieve. The bible study I finished up a couple months ago was so timely. It focused on King David and how God was able to use him even when David did not do what God asked him to do and the consequences David faced in his disobedience. During this study I learned that fear was Beth Moore's biggest issue ----similar to me. I have struggled with it from the beginning. Fear of Olivia's seizures, fear of medicine failures, fear of her advancing age, and of course, fear of her dying from a seizure. Beth mentioned, "we can allow fear to stop us from completing a task you feel God wants you to do. In the end, we all have the choice - Will you obey your fear or obey God, trusting He will show up and do it through you. Whatever He's called you to do is more than you can do. It will take Him to do it through you. You cannot complete your calling by yourself - it will be beyond you." So, how do I get there? What can I do to cooperate with God so He can do a great work in my life? 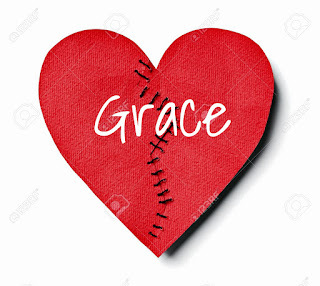 The answer lies in something I thought I had a handle on, and I had never thought of it this way ------- I have to move past my devastation with God, and for me that devastation lies in one question ---- Why has He allowed this to happen to my sweet girl? Who can't relate to those feelings? Angered when something devastating happens to you or your loved one, yet feeling afraid of God, as if you are being punished. But, as we learn, for David to receive the blessings from God that were to come, he needed to move past this personal devastation. "Nothing can throw us any more drastically in our faith walk then when God does not behave in a manner like we thought He was supposed to. When He didn't deliver the person like we asked Him to from that particular disease. When in everything we understood, everything we thought we had known Him to be, and He suddenly does something entirely different from that. Like we could say "What was that"? Sometimes we can feel angry over what we think the Lord has done and we can feel scared to death of Him. We can go through the act of going to church, singing praise and worship songs - our mouth is open to Him but we hold our heart far from Him because now we do not trust Him, because God did not do what we told Him to do, and God did not behave. We can live the rest of our lives without recovering from that one if we want to. Some people do not move past their devastation with God because they are going to figure it out or their not taking another step with Him." To trust God in the midst of unexpected circumstances is something that we are challenged to do, like David was. This really made me ask myself - have I truly moved past my own personal devastation with what happened to Olivia? I was angry that God let this happen to her and I was/(am?) afraid of what else He may allow. Has my heart recovered? Do I really trust Him? I have put on a really good show, and I can honestly say that I might not fully trust Him with what He has planned for Olivia's life. So many times I have felt like saying to Him - "what --- again???!!! where did that come from?". I am trying to do all the right things here --- I mean I am in the Word, I am doing a bible study, I am seeking His guidance and direction and one failure after another seem to mount. I hear stories of other people who start to make decisions for the welfare of their sick child and step by step their children walk out of that dark hole called autism/mental illness. I've been stepping and walking in circles. So that is where the fear enters in and I wonder and doubt and ultimately sink. This week I finally understood that in no way, and in no uncertain terms could I move past this devastation without His help. Everything I am doing is useless if I don't trust Him. I strangely never thought of asking for His help in reconciling my anger, but in the end I realized that I was simply powerless in my attempts to cover it up and put on the ultimate show for Him. He wasn't buying it, and apparently deep down I wasn't either. I feel as the blinders have been taken off my heart as well as my eyes and I now know that the fear I have been living with for the last 13 years was rooted in the fact that I was most afraid of Him - of what He was going to do to me (or allow) next, and at the same time angry that He chose me to be a person who has had to watch my daughter suffer for so many years. Makes you wonder how He does his choosing. To humble myself and allow Him to repair my broken heart was the only way to move past this devastation. Currently, I absolutely love a song called "Jar of Hearts" by Christina Perri. For some reason, I am so drawn to her lyrics. I am convinced that she would never intend someone to interpret them the way I do. This particular song's video drew me in. It is about her boyfriend, who was the ultimate womanizer and betrayer. He slithers around from one woman to the next "stealing' each woman's heart, while depositing it neatly in his possession. Although I have never known a man like this, I have to admit I completely identified with the singer as someone who has been preyed on. For me, I overwhelmingly relate the bad guy of this video, to the "bad guy" of the world - the enemy, the devil ---- as he prowls around stealing hearts for his very own jar. Some may be reading this, thinking ----- oooohhhhhh the big scary devil, but it's very real and very biblical that the enemy is prowling around looking to kill, steal and destroy our lives (Johns 10:10). As Priscilla Shirer said, "He will kill your dreams, steal the truth of God from your heart and lips and destroy your family. We have an enemy. He seeks to divert us from the course set for us by our Father." He loves to distract us with his hopelessness and fear. Or, we can be dazzled by the things that many times aren't so good for us. We are all tempted by different things over the course of our lives, that change the path that God prepared for us. By the middle of the song you see her grow stronger and proclaim that I have grown too strong to ever fall back in your arms. "The enemy goes to great lengths to denigrate women, because the enemy has a pathological need to prevent the bride from emerging. History tells us that whenever women are treated with love and respect, a society flourishes." Towards the end of the video, I can identify with the passion and strength in her voice as she belts out "Don't come back for me, don't come back at all", and as I watch it I envision myself with the same confidence belting this out to my betrayer. Watching her reminds me of the frequent dreams/visions I have had over the years of crawling on the ground with an invisible weight trying to keep me down. Not surprisingly, this recurring dream has changed throughout the years as I work my way up to standing despite the incredible oppression pushing me downward. Finally, as He as made me stronger, a shrug is all it takes to release myself from what seems to be invisible grips on most days, while on just a tiny few now, I am regrettably held captive. By the end of the video, it is me, not Christina who recaptures my own stolen heart as I step over the prince of darkness as he crumbles to the floor and I triumphantly walk right over him. Because for me, he is the creator of my hopelessness and the frequent nudges to just give up ---- to accept her as she is. He is the father of sickness, greed, immorality, destructive emotions. He instigates the feelings of self pity and anger when day after day she seems to be exactly the same --- still terribly sick. Is it a coincidence that Christina is in a make-shift bridal gown? ---I think not. Maybe God is setting the stage for mothers to come together and create a society to protect our children from the fate that unfortunately belongs to so many in the United States. To stop him from "tearing love apart". Oh - and the rest of John 10:10 says 'I came that they may have life, and have it abundantly. (John 10:10 NASB) I claim that for my Olivia and my family ---- Abundance! 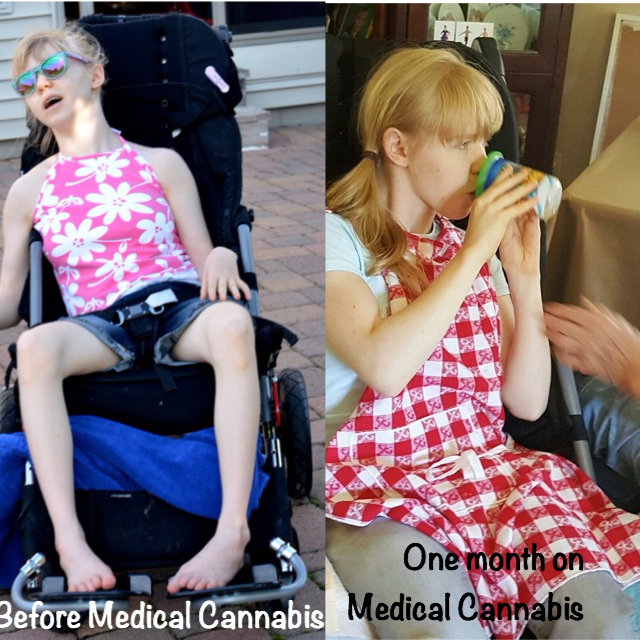 Olivia only had 1 seizure in 21 days! !